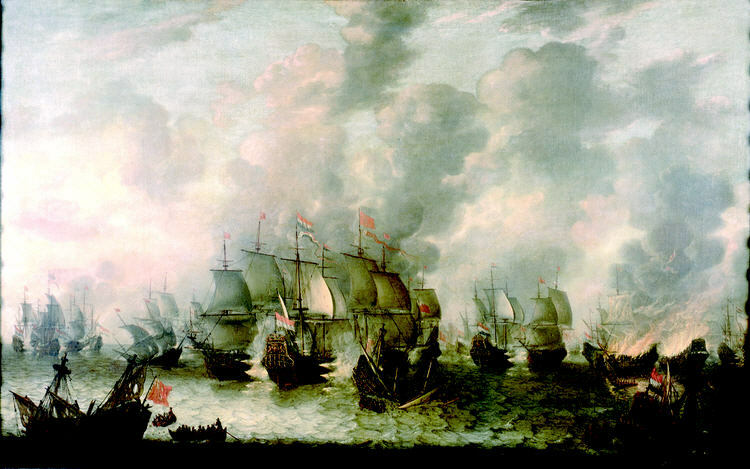 This painting of the Battle of Scheveningen (10 August 1653), by Jan Abrahamszoon Beerstraaten, focuses on the fighting around Admiral Tromp's flagship the Brederode. To the right two ships are burning after fireship attacks - probably the Andrew and the Triumph, both of which survived. A third English ship, the Oak was destroyed by a fireship.